Bem-vindos! to another interactive guest post; this one in Portuguese from Boteco ATX, the latest & greatest Austin Food-truck! In our efforts to connect the many cultures and languages in Austin, we invite Austinites who’re native speakers of French, Italian, Spanish or Portuguese to share an idea, a place, an art, a product – or anything of particular interest to them – in writing in their native language. In the Freestyle way, we invite all (both our students & readers of the larger ATX community and beyond) to interact w/us here. We won’t grade you too harshly if your answers are in English…and who knows? there may be a prize for those in Portuguese! Voila! magnífico! 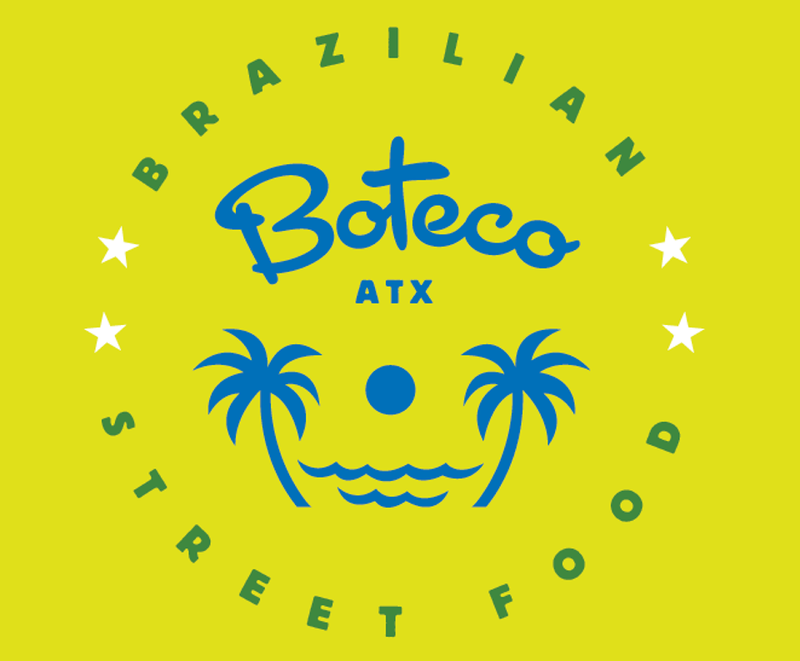 We’re thrilled to put a spotlight on our new friends in the incredibly dynamic Brazilian community of Atx – Fernando and Lauren Marri, owners of the new Brazilian food truck Boteco which specializes in Brazilian street food located in Austin, TX. What is a Boteco? A boteco is a local neighborhood joint that you go to for delicious food, drinks & conversation. Simple in nature, yet essentially Brazilian. Boteco supports our community by cooking with eco-friendly, local ingredients as much as possible. They’ll also feature a variety of vegetarian & gluten-free options! Read about this couple, one of their favorite recipes and how to make it – all in Portuguese. boa sorte! O brigadeiro é um doce brasileiro, criado na década de 1940 em homenagem ao Brigadeiro Eduardo Gomes, candidato à presidência da república. Foram feitas festas para promover a candidatura, onde foram servidos os docinhos do Brigadeiro. 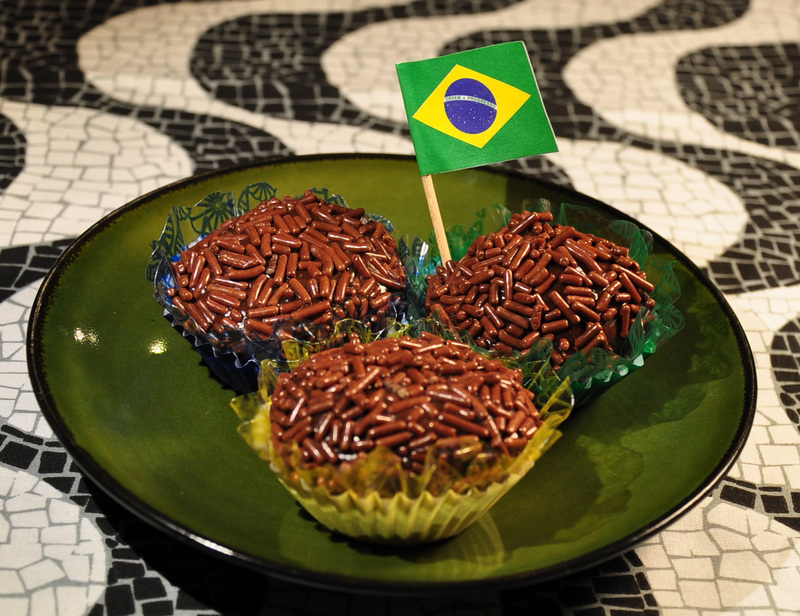 Assim for adotado o nome brigadeiro para o docinho. 1. Coloque em uma panela o leite condensado, a margarina e o chocolate em pó. 2. Cozinhe em fogo médio e mexa sem parar com uma colher. 3. Cozinhe até que o brigadeiro comece a desgrudar da panela. 4. Deixe esfriar bem, então unte as mãos com margarina, faça as bolinhas e envolva-as em chocolate granulado. Voila! now it’s your turn…answer these in the comments below. Correct Portuguese could get you a sweeeet Freestyle discount…! 1. Quando é que Fernando veio para Austin? 3. O brigadeiro tem que forma (shape)? 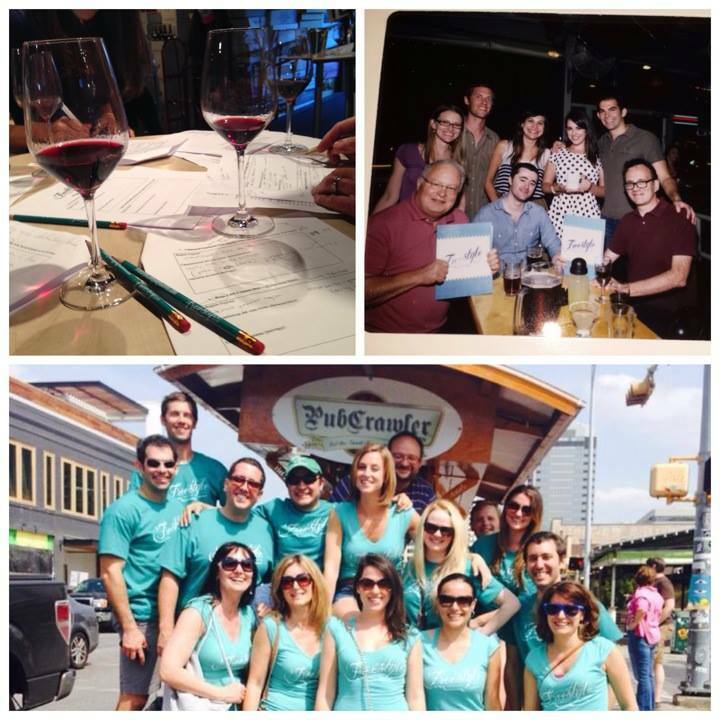 We can’t wait to join in the Boteco launch celebration in February! While the food-truck is still in the construction phase, their delicious food is available for delivery or pick-up in the Austin area. Items can be ordered frozen or freshly fried. Place your order today – for typical Brazilian fare such as Pastel, Coxinha & Pão de Queijo! Contact botecoatx@gmail.com for more information. Follow them on Facebook, Twitter & Instagram! And don’t forget to come try a class for free at Freestyle. Our proven language model and methodology is not only effective it’s fun. We pride ourselves on our pedagogy & 2nd language acquisition skills as well as on the connections made in our language learning community. Language is 100% about connecting people! The Freestyle Way – using language in context, having fun doing it! Did you know we have a NEW class “Portuguese for Spanish Speakers”? Starting Winter 2015. To meet our teachers and learn more about it and our other Portuguese, French, Spanish or Italian classes, RSVP to our Open House, Fri, Jan. 9th, 6-8pm. Merci! Obrigado, Vemo-nos!